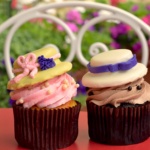 Made with Magic 3.0 Ear Hats are now available from the Shop Disney Parks app. This new version of the Mage with Magic hat allows users to control the hat from their phone as well as “Glow at Home” during select performances throughout the ABC holiday specials. 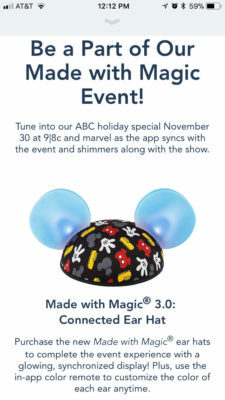 Leveraging Bluetooth technology, the Shop Disney Parks app allows viewers wearing the new 3.0 edition ear hats at home to sync with the ABC holiday specials playing on the viewers TVs or other devices, making viewers feel like they are in the audience. 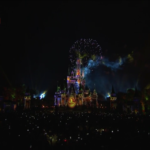 The app also has a remote-control feature to adjust the ear colors and speed of the strobe – a brand-new feature for the Made with Magic Ear Hats. 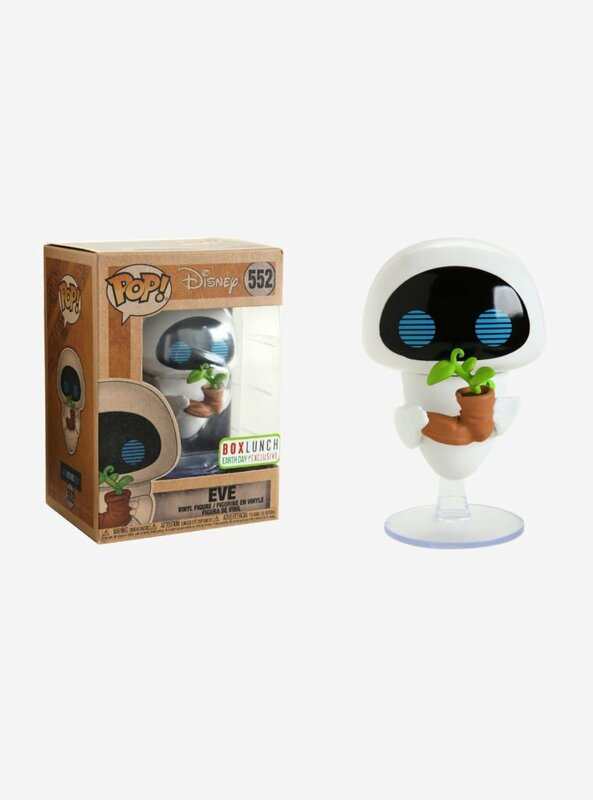 If viewers at home don’t have the special edition ear hats, the Shop Disney Parks app will allow them to enjoy a second screen experience as their mobile phone comes alive, mirroring the spectacle on-screen during select performances. The Made with Magic 3.0: Connected Ear Hat is available for $28.17 and discounts do apply. Guests that order the hat by November 20 and select ground shipping will receive the hat in time for the November 30 special.